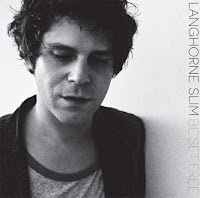 Be Set Free, the upcoming record from Langhorne Slim is scheduled to be released on September 29. You can grab "I Love You, But Goodbye" from the album HERE. Slim is also hitting the road this fall. For those in the New York area, he'll be at The Bell House in Brooklyn on October 15. Those of you outside New York, check out his MySpace page for dates.